The structure is huge classic stately japanese house which is nearly 100 years old .The inside of it is japanese modern design and relaxed comfortable space , and what's more , it is located beside the World Heritage listed Nara Park and its incredible temples! Whether is a casual walk or a sunset stroll you can enjoy a beautiful veiw anytime. WiFi in lobby and all guest rooms. NOTE : This room has only one semi-double size futon. Each bed has a reading light , power point and curtains. 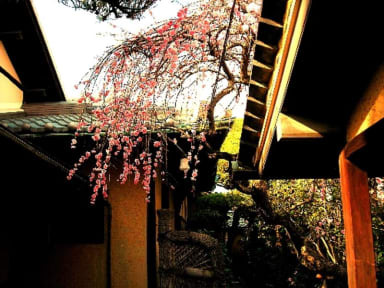 Guesthouse Nara Backpackers is located beside the World Heritage site. We accept the payment by ONLY cash. We Only accept children over 13 years of age. Bath rooms and toilets are shered by all guests. 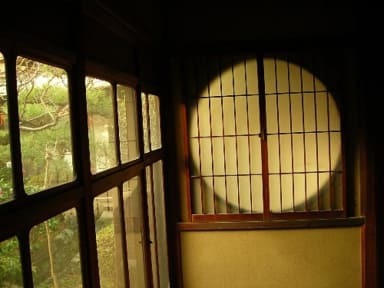 L'ostello è in realtà un vecchio ryokan ristrutturato e riorganizzato che se da un lato significa pavimenti cigolanti e pareti "vissute", dall'altro conserva una certa magia e tradizione che non ci aspettavamo da un modesto alloggio per giovani viaggiatori. Davvero vicino al centro commerciale di Nara e al parco (attrattiva principale). Un alloggio modesto, ma una piacevole alternativa agli ostelli più classici. Inoltre la zona comune dà su un giardino interno molto rilassante (quasi zen :P).